Ween mature?! Did you ever think youd see those words together? The boys in Ween have emerged from yet another mouldy Pennsylvania farmhouse, recording in hand, and as strange as this sounds, its a little more mature. 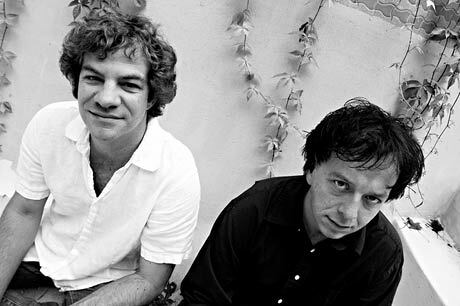 This is still Ween were talking about here so lets not get too crazy, but theyve actually grown up a bit. Its been four long years since Ween released Quebec, while disciples of Boognish have had bits and bobs to tide them over this is the first studio record in forever. And its a departure from the downer vibe on Quebec and White Pepper, continuing the upbeat party theme of this years The Friends EP. While "Friends is still glorious in its bubblegum dance floor exuberance, the version on La Cucaracha is unfortunately not the Crazy Frog version from the EP. As always, they bounce from genre to genre, be it reggae or So-Cal pop punk. The last two tracks, "Woman and Man (an epic prog nod to Presence-era Led Zeppelin) and "Your Party (a mellow, adult-oriented track featuring a guest appearance by sax legend David Sanborn), are supposed to be a sneak preview of the future of Ween. And, its looking pretty sunny. How would you describe the vibe of this record? Gene Ween: Its more fun; it doesnt take itself seriously. We had a good time making it. Its not as heavy as the last couple. This one is not cool, we straightened out our act a little bit, were totally un-cool now. After Quebec everything came to a head and we went insane, and then we cleaned ourselves up. And now were un-cool. What have the last couple of years been like for you leading into this record? Cleaner, mellower; I had another baby. I moved to a beach house a year after Quebec came out and dried out; its been a progressive, good few years. The band are getting older and were all pretty much married. Were getting our thing honed; its no longer a teenage breakdown party. I see the beginning of a block of records. Weve gotten our thing together and Weens going to be riding this plane for a little while.